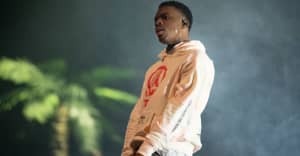 Vince Staples is busy on the promo trail for his new album Big Fish Theory and appeared on The Tonight Show on Monday night. He came through with a strong team of guest artists to perform "Love Can Be..." which included Damon Albarn, Kilo Kish, and Ray J. Check out the performance in full above. Staples dropped his new album Big Fish Theory on June 23. The album features contributions from Kendrick Lamar, A$AP Rocky, Ty Dolla $ign, Justin Vernon, and more. Stream it here. Staples is set to join Gorillaz on tour this July, along with Danny Brown.